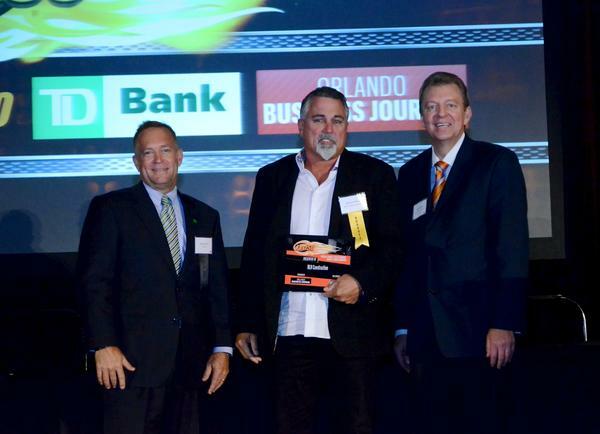 Our President, Richard Haines, accepts RLH’s 2014 OBJ Fast 50 Award. At long last, the companies that landed a spot on the Orlando Business Journal’s Fast 50 list discovered their place in the lineup. The countdown of companies took place at the OBJ’s award luncheon celebration today. RLH came in as #17 on the list. Conspicuously, several construction-related businesses were awarded this afternoon, a positive indicator for the industry. Read what Richard Haines had to say when the OBJ interviewed him for the award. 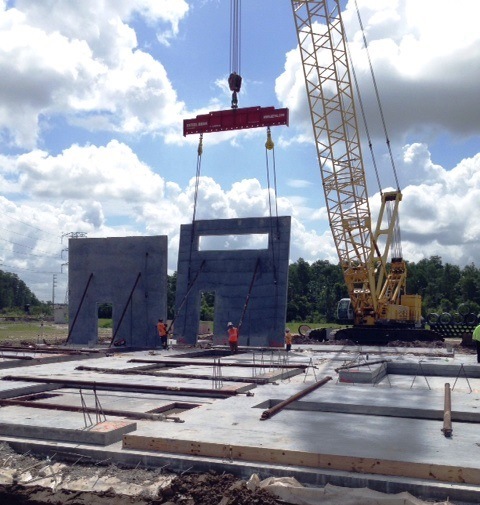 Over the span of 4 days, walls will rise up like concrete zombies on the construction site of the new Starling Chevrolet, located at the intersection of SR 417 and Orange Blossom Trail. Cast onsite, each panel is cured for about 7 days. Four lifting eyes—metal loops—are cast into each panel and connected to the interior structural steel. The tilt-wall technique requires a 230-ton crane (with operator) and a 4-man rigging crew to erect each panel. The panels are 7 ¼ inches thick, 10 to 24 feet wide, stand 25 feet tall and weigh between 32,000 and 46,000 pounds! Braces hold the panels in place until steel joists are installed. A total of 76 panels will be installed to create the new 55,000-square-foot dealership.